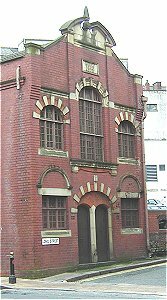 A Synagogue was built on the present site in 1858, the land being purchased by Messrs Aaron Jacobs and Davis, in April of the previous year. 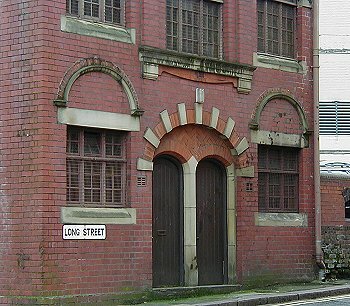 The date stone on the front of the building gives the date 1903 because there was a fire in 1902 which severely damaged the original structure. 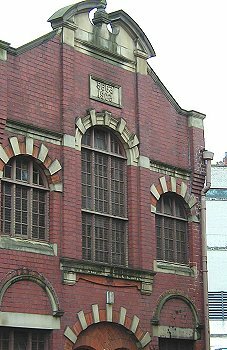 However it was not totally destroyed, since the Building Notice of 1903 refers to the retention of the original slate roof. So what we see today is part 1858 and part 1903. The architect in charge of the 1903 rebuilding was Frederick Beck, a prolific local architect of some standing who also worked on restoration work to St Peter's Church. His original plans for the Synagogue can still be inspected in the Council archives. 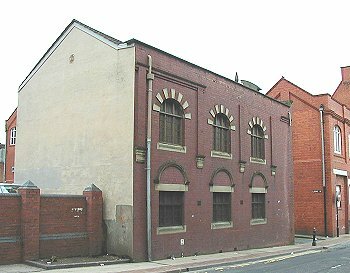 The Synagogue from Fryer Street. The two principal elevations remain largely as they appear in Beck's plans. A few details have changed. The ball finials to either side of the main elevation have disappeared and a parapet has been added along the Fryer Street elevation. The two other elevations have been rendered. 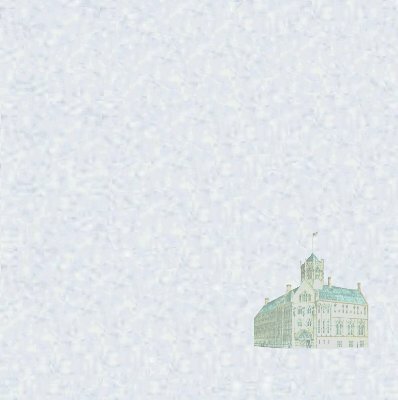 It is unclear when this happened, but when it was originally built there were buildings against both of these elevations so they were never intended to be seen. When these buildings were taken down, and these two walls were exposed to the elements, the rendering may have been an effort to protect them. Both walls are very damp and are a one of the problems being faced by the new owners. There are two doors into the building, one for ladies, and one for gentlemen. The word 'synagogue' comes from the Greek and means 'house of assembly', also house of prayer and house of study. The need to establish specific places for the Jewish community to meet arose during periods of exile, and especially following the destruction of the Third Temple in Jerusalem by the Romans in 70 AD. The Anglo-Jewish community began in 1656 when a petition seeking the right for Jews to worship freely was submitted to Oliver Cromwell. The oldest Synagogue in England being the Bevis marks, near Creechurch Lane in the City of London, which developed from a house of prayer in 1657. In orthodox synagogues like this one men and women sit separately. The women in the gallery and the men in the main hall, hence the two entrances. The ARK is the focal point of the synagogue. This alcove or cupboard contained the scrolls of the Pentateuch, or the five books of Moses, sometimes called the Torah. These would be the most precious possessions of the community and were kept behind an embroidered curtain. The Ark was located on a dias and approached by steps since it was the most holy place in the synagogue. Above the Ark are two tablets inscribed with the opening words of the Ten Commandments, five on each tablet. The crown above the tablets represents the sovereignty of God's teachings in Judaism. Between the two tablets is the perpetual light, which remembers the light that burned in the temple at Jerusalem. In the centre of the synagogue there is a desk on a raised platform or Bemah. Here, a scroll of the Torah was laid out on the reading desk on Sabbath mornings and portions were read every week until all five books were completed each year. A quorum of ten is required for public worship, and it was when the congregation of the Wolverhampton Synagogue fell below this number, they struggled to keep going with the help of a non Jewish friend, who helped to make up the number. But soon they had to accept that they could no longer keep up the building for worship. The word Torah actually means 'teaching' and religious education is a very important part of the Jewish way of life. Although from the 1870s most Jewish children were able to attend schools provided by local education authorities for their general education, there was still a need for religious education. 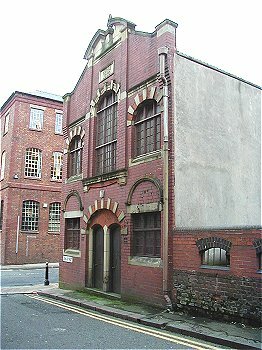 Classes would be held at the Synagogue for the small Jewish community of the town. Here children could learn Hebrew, the holy language of the Bible, and were taught to translate the sacred books. In addition they would learn about Jewish history and the geography of the Holy Land. 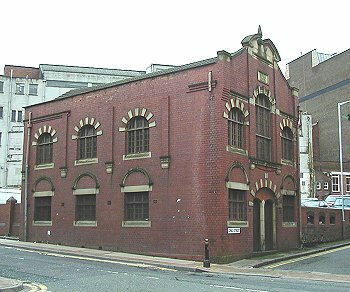 When the Jewish community decided to sell the building in 1999 there were concerns about its future. 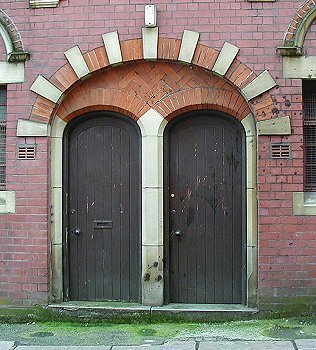 Whilst the building could be protected from demolition, because it is located in a Conservation Area, the interior, which contains many interesting features was at risk. Attempts to get the building onto the Statutory List by the Council previously had failed and it was feared that a new use would entail the insertion of a floor, which would spoil the character of the interior. 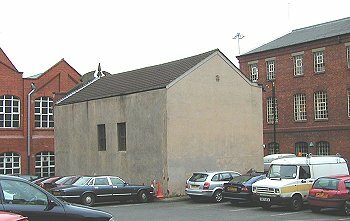 Fortunately the building has been purchased by the St Silas Continuing Church Trust, which proposes to retain the building as a place of worship. 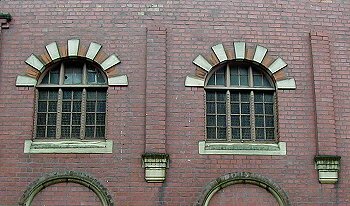 Some internal alterations will be required but the proposals will preserve the essential character of the interior and respect its previous use as a synagogue. The Ark, galleries and paneling will be retained but the basement must be brought up to modern sanitary standards and will also house a small kitchen. The Semah will be dismantled and made into seating. This is the only way of retaining the structure whilst allowing the building to function in its new use. The main problems faced by the new owners are structural. The two rendered walls mentioned earlier have suffered greatly from damp penetration over the years. You can see the results of attempts to keep damp out which have probably made the condition of the walls worse. The damp means that there is some wood rot in the building, some in structural members, which will need to be replaced. The roof was, in recent years, recovered with modern concrete roof tiles, which are much heavier than the natural slate originally used, and this has caused lateral pressure on the side walls, causing them to spread. The repairs to the building will involve some rebuilding of decayed walls, a return to natural slate for the roof covering and other structural works. This is all very expensive, the Council also hopes to offer some grant aid. 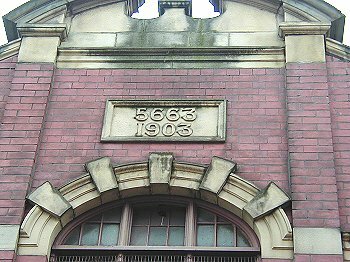 On the front of the building, above the 1903 date, you will also see the number 5663. This is the year as expressed in the Jewish calendar. Jewish years are calculated from the creation of the world as described in the book of Genesis, which according to tradition was 3760 BCE (Before the Common Era). Take away 1240 from the year of the Common Era and add 5000. For dates failing in September to December another year must be added.